Two roads fork in a wood. One road turns toward a sunny pasture, with a perfect little cottage in a well-trimmed garden, cows grazing peacefully, and a whitewashed church standing guard on the hill. Silky smooth 5-part harmonies drift from the door of the chapel, while laughing children chase each other among the blooming apple trees. The other road, paved with good intentions, turns up a rocky path into a deep forbidding forest smelling of charcoal from the illegal hooch operation just around the next bend. It’s a bit scary, but there’s cool clear waters in that crik, and there’s rumor of a speakeasy in the next holler. This is the road traveled by “Gothic bluegrass” band the Earl Brothers. San Francisco-based bluegrass outfit the Earl Brothers just released their third record, titled “Moonshine.” Even though they’ve been through several personnel changes—banjo player Robert Earl Davis is the only remaining founder—they’ve never strayed from that dark, crooked road that winds ever downward from the Appalachian hills. As on previous releases, recurring themes include alcohol, late nights, lost love, and yes, death. And as usual, most (or all?) of the music is written by band members. The music of the Earl Brothers is just spooky, and I dig it. 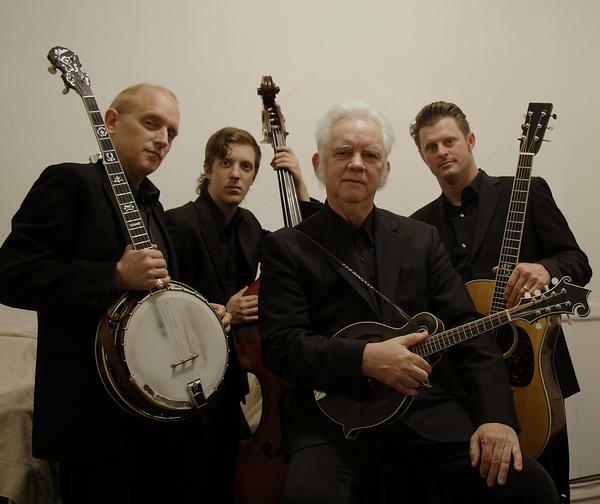 With a lineup of banjo, guitar, mandolin, and bass, they produce an antique sound that invokes the Stanley Brothers, Dock Boggs, and the Carter Family. Only darker. They might benefit by adding a fiddler to the lineup—but then they wouldn’t sound like the Earl Brothers. Maybe other bands have more complex chops on their axes. But these guys got soul: bone-chillin,’ foot-stompin,’ hillbilly soul. I was raised on bluegrass, in southern Ohio and West Virginia. My first gig was in church. My first band had a banjo and a fiddle in it (same guy played both, but whatever). As I matured, my own personal music journey has led me to drink from the wells of folk, old-time, Irish, and even Renaissance music. At some point I left bluegrass behind, feeling no passion in the smooth, perfect, Nashville sounds that prevail in the bluegrass world today. But the Earl Brothers have turned my ear back toward bluegrass. They take the reins and yank that old bluegrass mule back toward its true roots in the lonely realms of old-timey and country blues. Yes yes yes! The Earl Brothers! You are a genius, my friend! Awesome post! They were drunker than hell but making really interesting music. Making quite a buzz out there, but elusive as hell with press. I’m irreversibly converted, now. Think 90’s – Soft Bulletin, Palace Brothers, etc. , “A Pre Vampire Weekend” heaven. Really cool stuff. I was wondering if you know anything about them. The main thing, though, is these are the guys who supposedly Howie Day had to get a restraining order on because they were harassing, prank calling, and heckling him like non-stop as a joke. Goofy geniuses, I guess.